Peaceful Simple Life: Merry Christmas and Happy New Year! 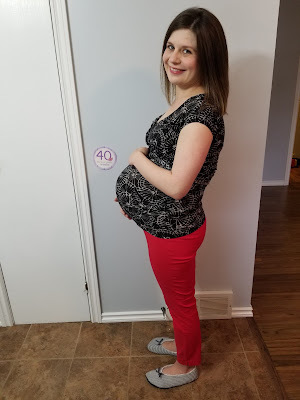 Today I am 40 weeks pregnant and I am waiting for Baby's arrival. We are all ready for Christmas and for Baby. I want to wish all of you a very Merry Christmas and Happy New Year. I hope that you all have a beautiful holiday season filled with love, joy and laughter. Thank you for visiting my little space of the internet. I so appreciate it! I really value the friendships that I have made through blogging and I am thankful for each and every one of you. I have no planned posts over this holiday season. I may pop in here once or twice to say hello. It really depends how things are going. Just in case I don't make it back here before 2018, thank you for helping to make my 2017 so wonderful. Have a safe and happy holiday season!